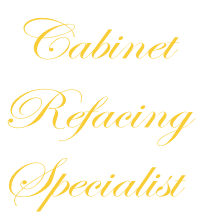 Cabinet refacing will Refresh your Kitchen Cabinets to look brand new again. To receive your no pressure quote to Update & Reface your Kitchen Cabinets, Call or Click Above for your Free in-Home consultation. Before we come to your home we assist you with your Cabinet Door Colors & Styles. Then we bring your preferred Cabinet Doors & Color Selections to your home. We measure everything you desire & provide a no hassle quote. Add a new kitchen island or pantry for more storage, counter-tops, drawers & hinges. We offer multiple selections to fit any budget. Your kitchen will cost a fraction of the price of a full replacement, while saving wear & tear on your home. See our list of Happy Customers. 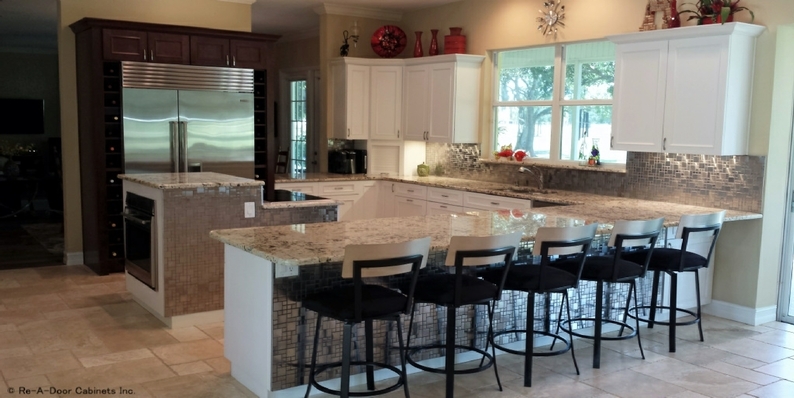 Call to find out how Cabinet Refacing worked for them & If they would recommend Us.